Guys, yes. You heard right. 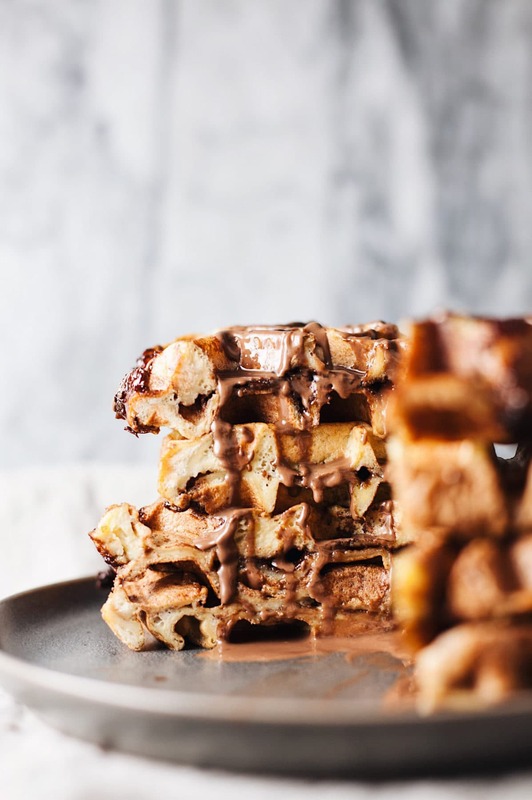 Nutella Stuffed French Toast Waffles! With tomorrow being Valentines Day I thought I’d share a very special breakfast to make for your loved ones. But if I’m being honest here, Valentines Day or not, these need to be in your life. 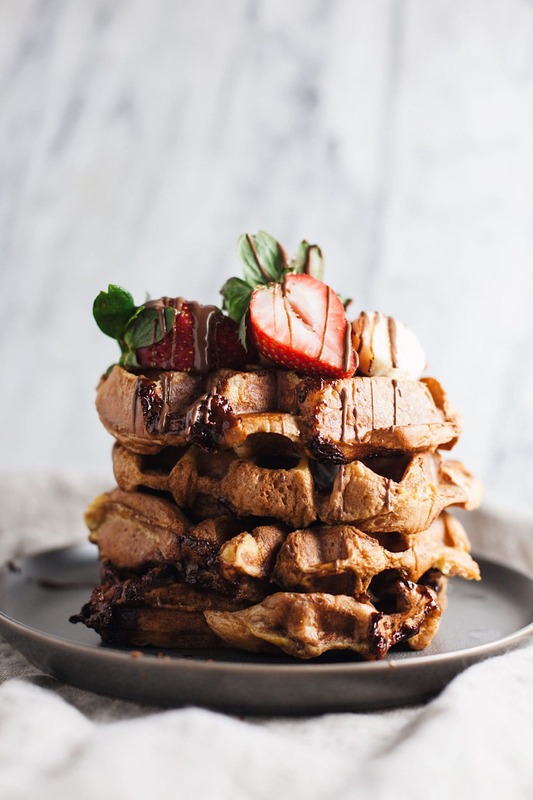 Nutella stuffed french toast pressed into warm, crispy, fluffy waffles. I mean, are you looking at them? So GOOD. On Valentines Day it’s completely okay to start your day with chocolate. In fact, it should be necessary to do so. I’m definitely a gal that loves to celebrate Valentines Day AND eat a ton of chocolate. So it’s my kind of day. And I’ll also take any excuse to love of the people in my life! This year we are planning on doing dinner at Harvest in Hotel Hershey – excited about that. But this breakfast is something to get excited about. 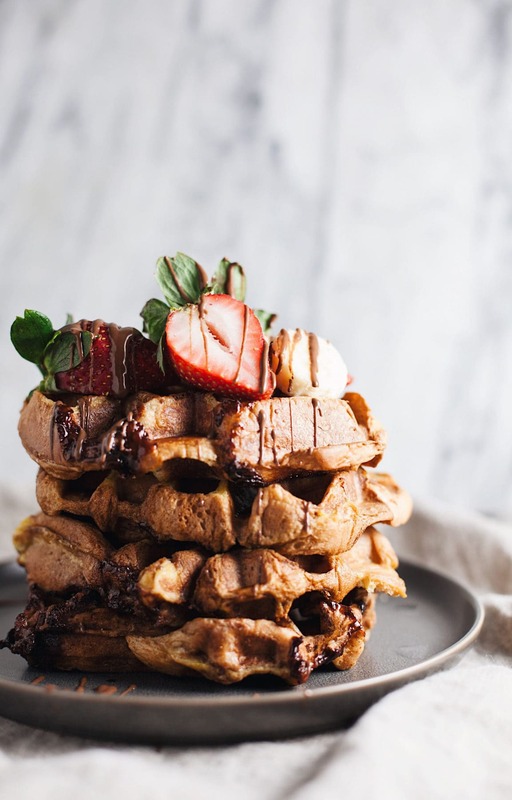 I’d say it’s a GOOD day to wake up to a stack of these warm, chocolate-filled, fluffy waffles. It’s certainly a breakfast treat, but worth it all. Simple and delicious! 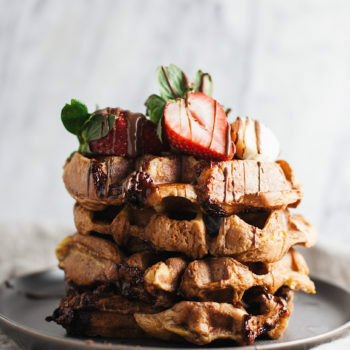 French toast stuffed with Nutella and pressed into waffles. A fun spin on a delicious and decadent breakfast! Turn your waffle maker on low to medium heat and spray with non-stick spray. Whisk in a small bowl: eggs, milk, vanilla, and cinnamon. Dip bread both sides in egg mixture, lay in waffle maker. Scoop 1-2 Tbsp Nutella in center of bread, dip another slice of bread in egg mixture and lay over Nutella slice. Press with waffle maker for 4-5 minutes, or until golden brown. Repeat process. Covered with bananas & fruit, drizzle with maple syrup or peanut butter and ENJOY.